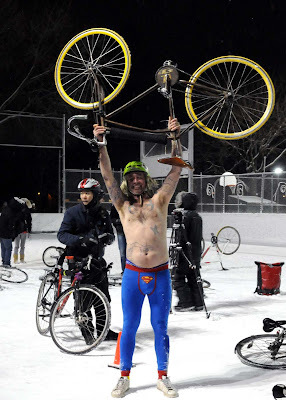 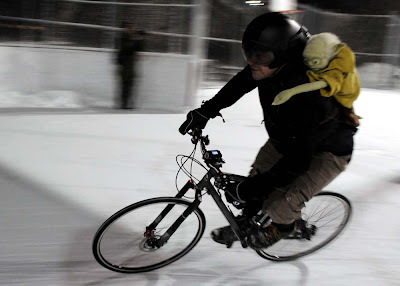 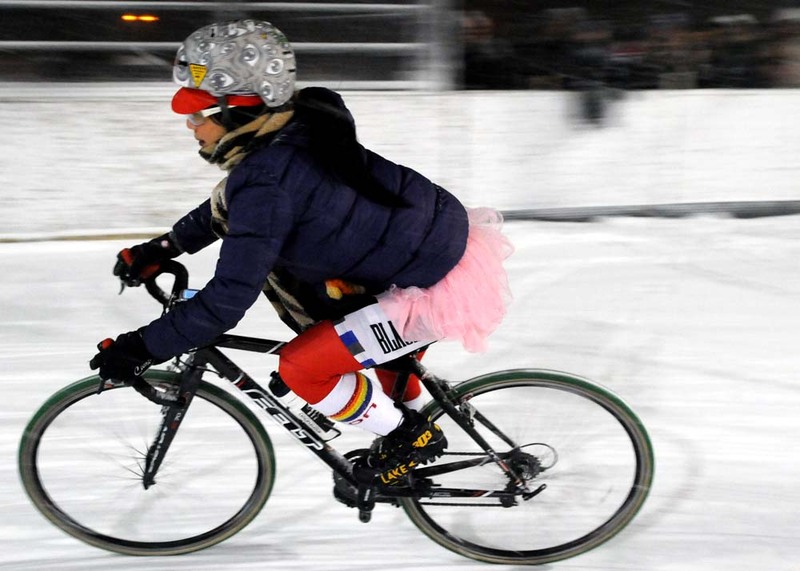 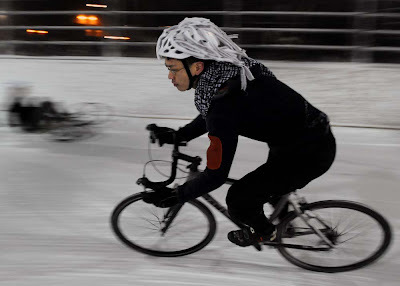 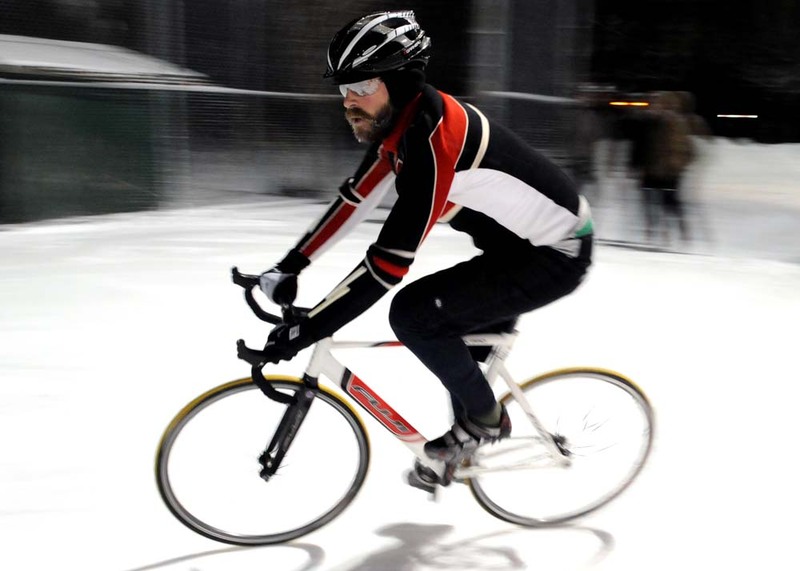 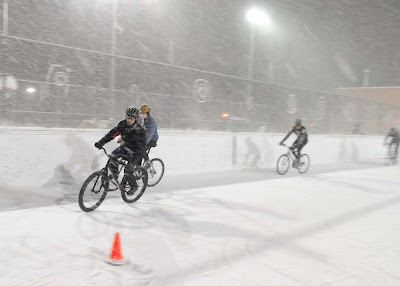 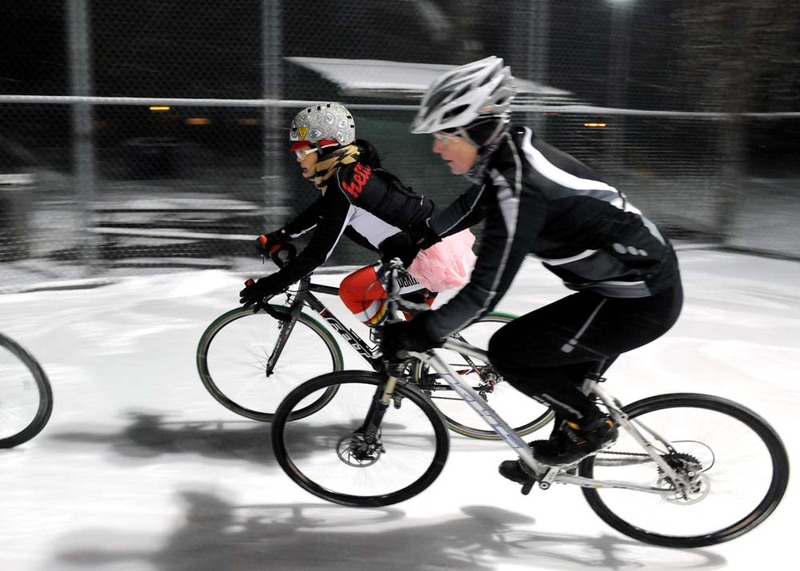 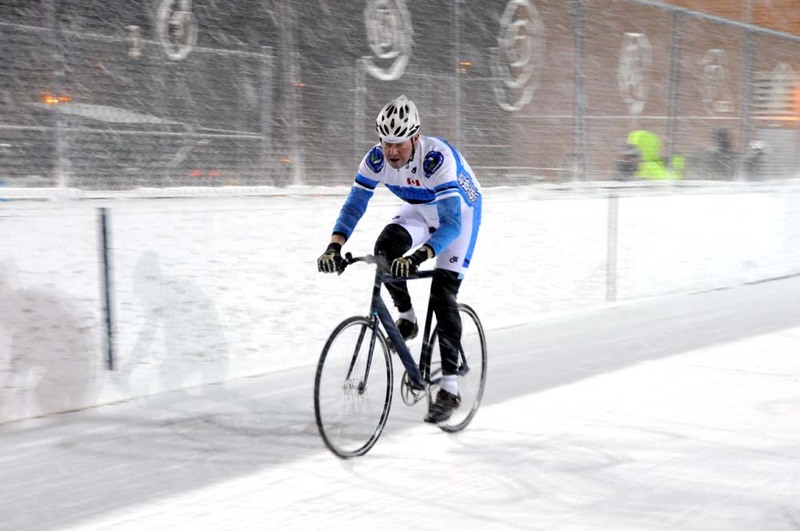 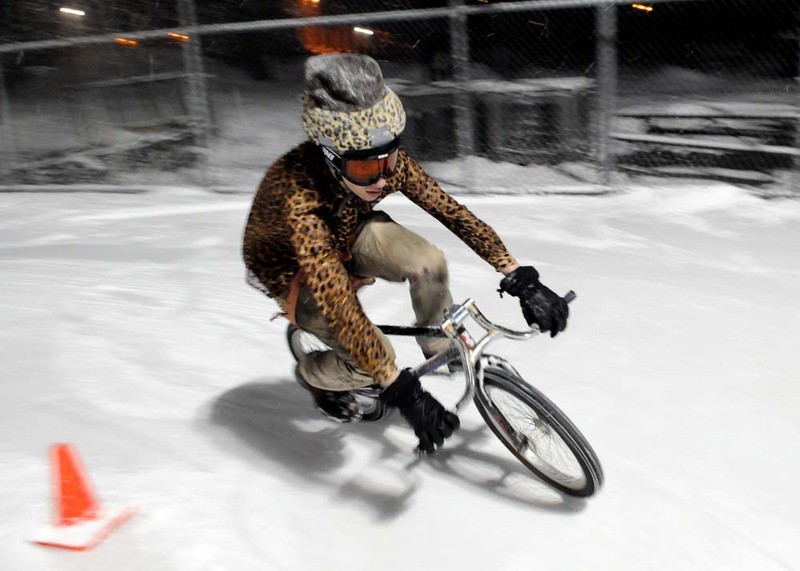 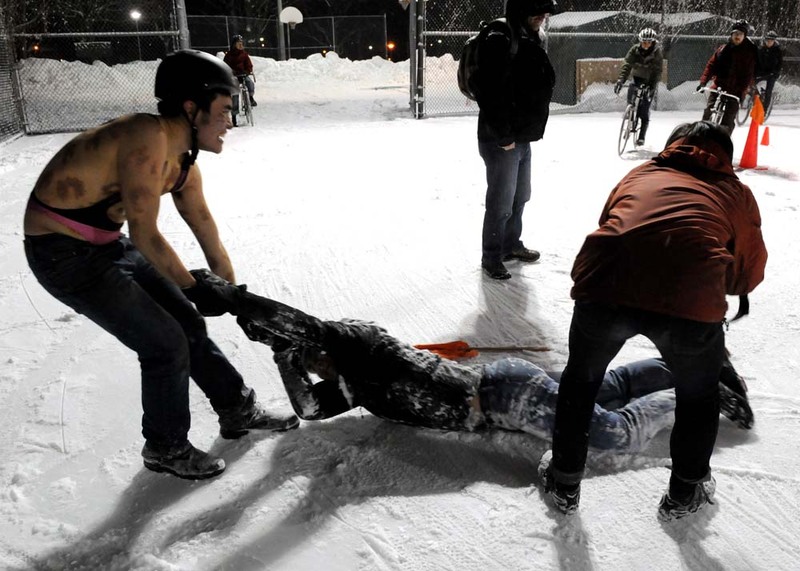 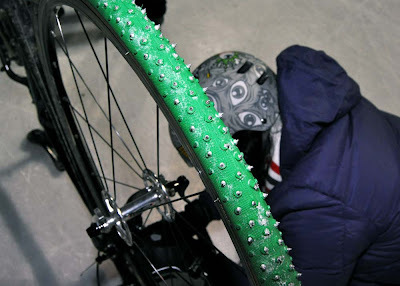 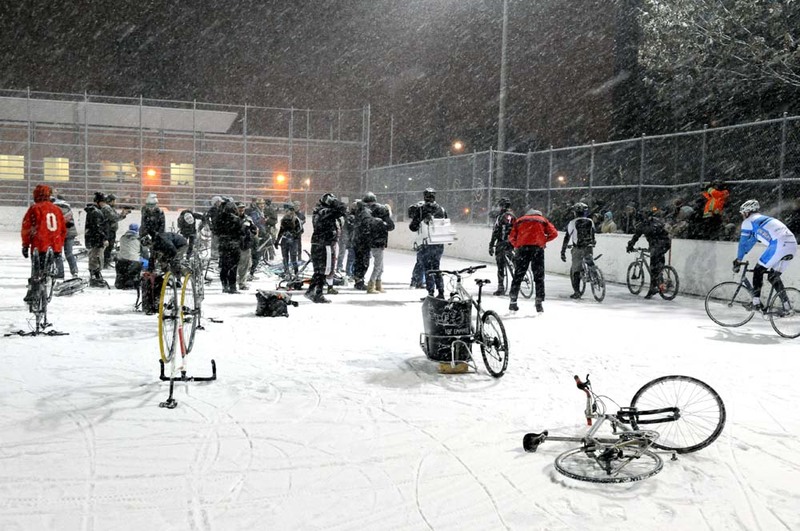 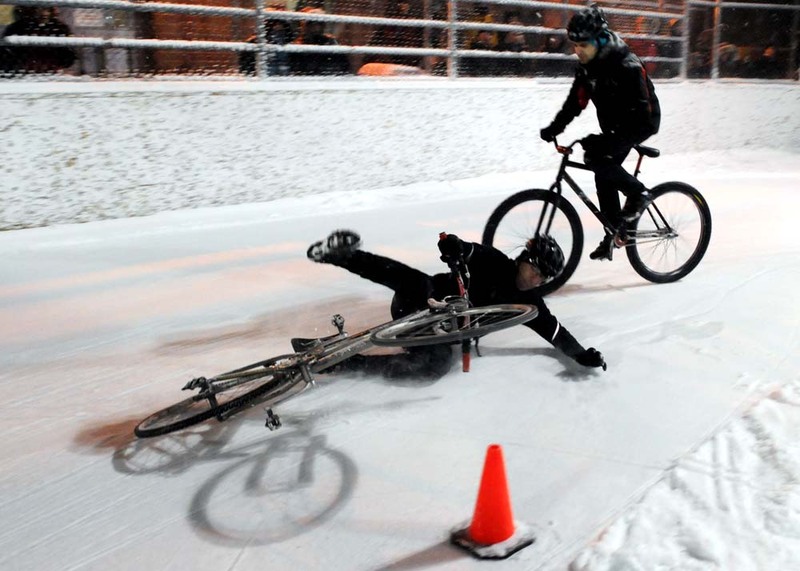 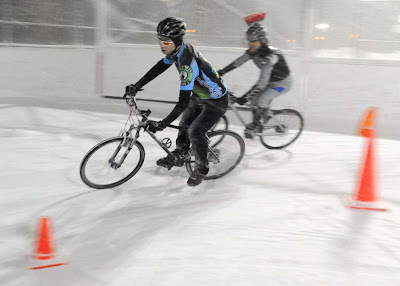 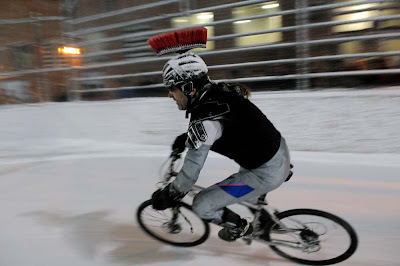 Studs on the tires and craziness in the heart - get ready #Toronto for another round of racing bikes on ice. 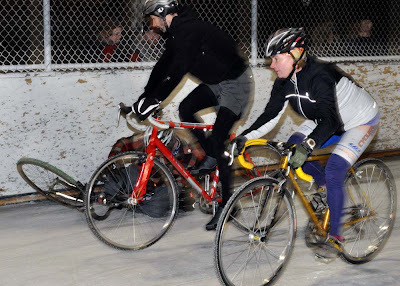 The Dufferin Grove Park skating rink becomes a slippery race track with singles and tandem bikes running where only people on skates are usually found. 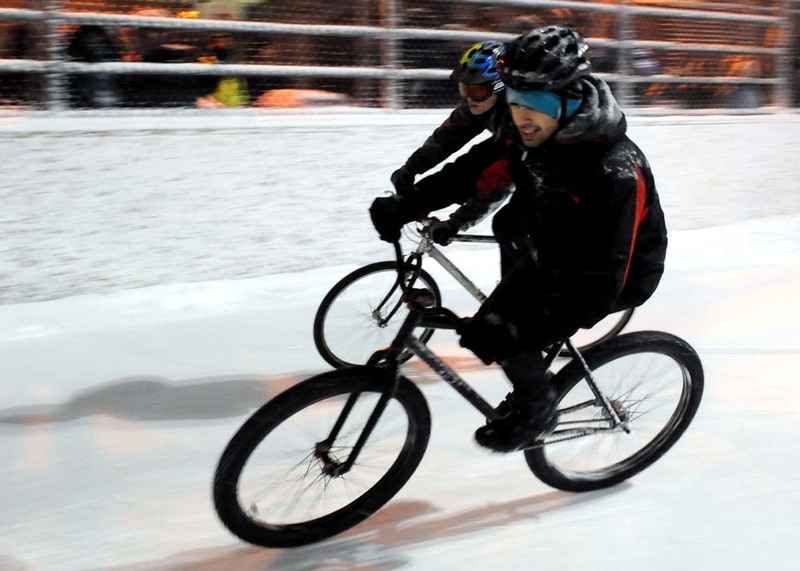 The fun starts with a meetup at 6:30 pm, then the racing goes from 7-10 pm. 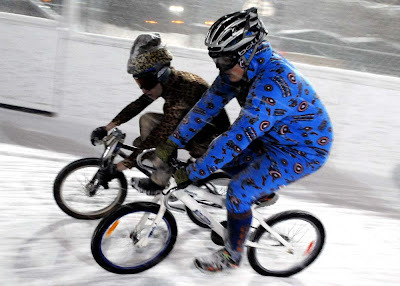 The 12th annual bike couriers race offers spills, chills and hopefully some great costumes - you can see more photos from the 2012 race on my post here. Here are Fresh Joe's photos of the snowy 2013 race here. Posted by Joe Hamilton. 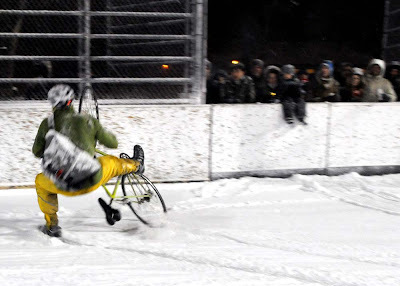 See more ice racing after the jump.